Look great, smell wonderful, and feel good as you make your own homemade natural body care products. 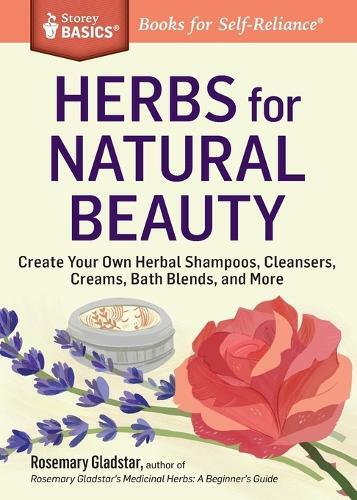 In this Storey BASICS® guide to holistic beauty, Rosemary Gladstar shares more than 30 simple recipes for cleansers, moisturizers, and creams comprised of essential oils and herbs. Make unique shampoos for lustrous, fragrant hair and learn Gladstar's amazing five-step system for glowing skin. Skip the harsh commercial ingredients and use nature's closet to keep your body healthy and beautiful.